From time to time I will show some of the more interesting new issues from this part of the world. Feel free to comment and even show any you have received. I will start with this recent Trees issue which was issued on the 17 March 2015. 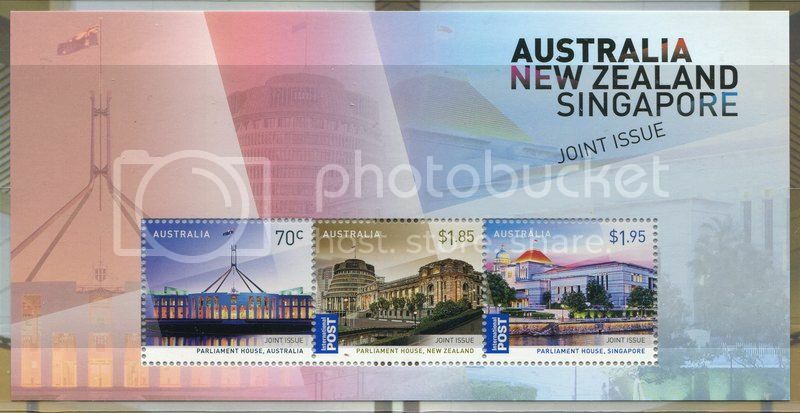 Not a bad issue in itself, but a special pack was also issued which had Australias first wooden stamp. Here is a cover I sent myself on the FDI (no official ones with the wooden version were made) which clearly shows both types. Last one for tonight. The 'Visiting Birds' isuue of Cocos (Keeling) Islands was issued on 24 March 2015 and I think is one of the better issues by Australia Post in recent times. 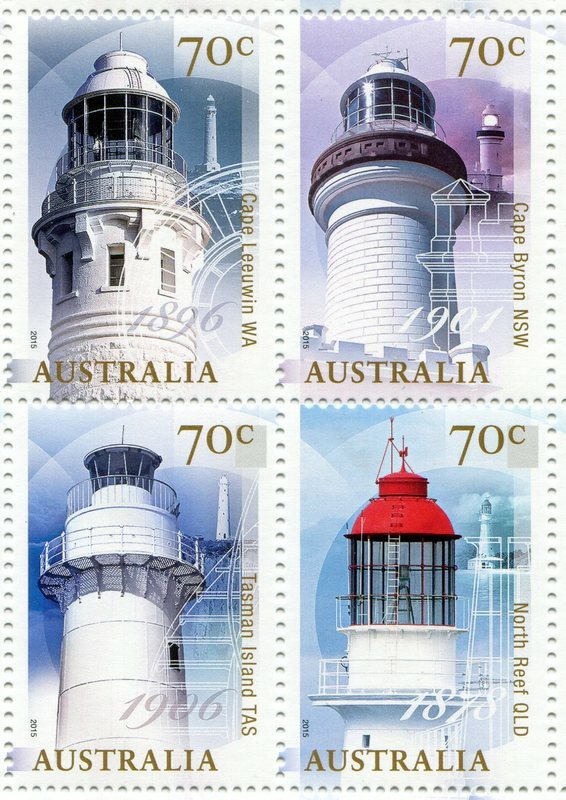 This is a recent issue on the theme of Lighthouses. A bit boring but I know there a fans of this theme out there. 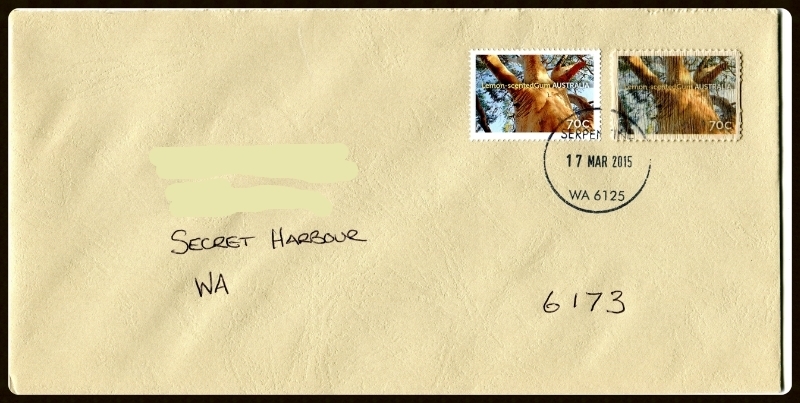 Thanks for showing, I especially like the bird stamps. 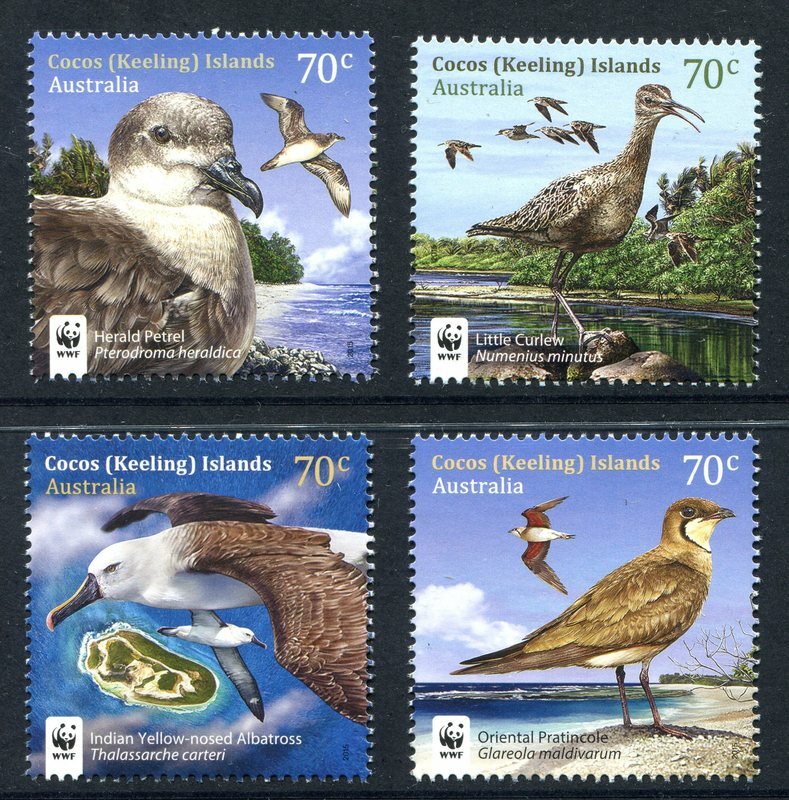 Those lighthouse stamps are great. 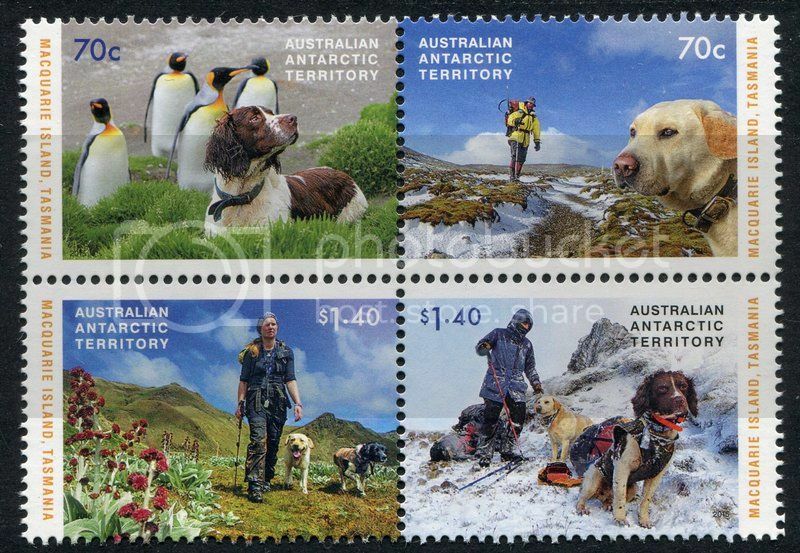 Issued on the 14 July 2015 Great Australian Walks. And here is the minisheet. Nice little issue. Joint issue between Australia, New Zealand and Singapore marks the 50th anniversary of bilateral talks. Some beautiful stamps if you like architecture. Here is the minisheet. Release date was 14 August 2015.
and colour on the others is amazing too! Thanks Kannik but if you like the colours in the others check this issue out. Brilliant IMO. These are some of the iconic neon signs from a bygone era which have been restored to thier former glory. To be issued on the 1 Sep 15. And here is the minisheet. 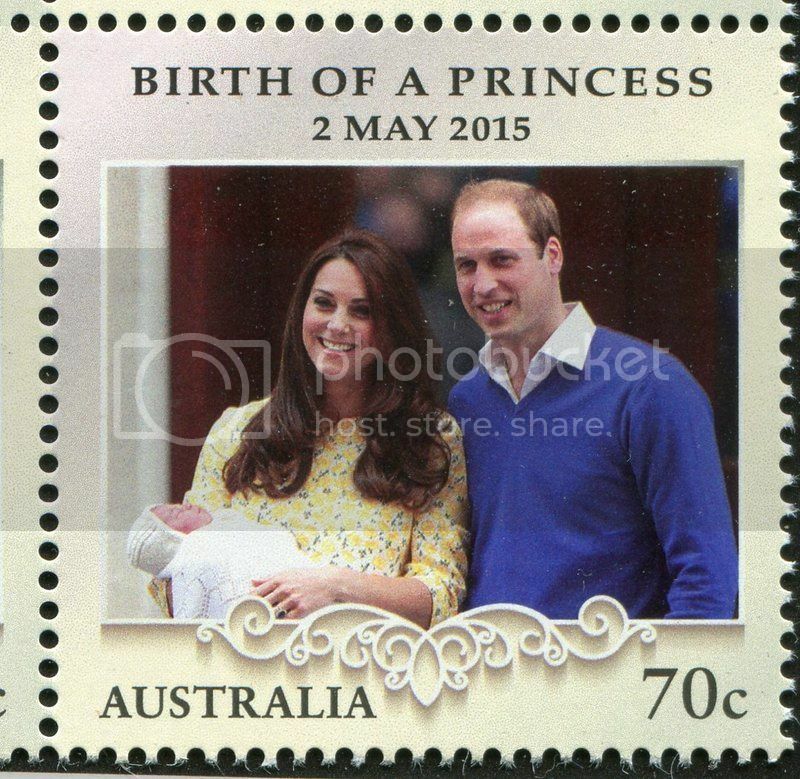 This one, issued today is just another run of the mill royalty stamps. Printed in the same format for the wedding and birth of Henry, pretty boring really. I am sure there will be some that like it so here it is. Don't say I didn't warn you. Note to self, clean the scanner glass! Issued 9 Sep 15. The Dogs that Saved Macquarie Island. Typical type of issue for the AAT. There is quite a interesting story behind this issue. Apparently the island had become infested with non native pests when humans visited. There was a real menace to the bio diversity of the place by the introductioin of cats, rabbits and ship rats and mice. Since 2002, trained dogs were employed to hunt these vermin to extinction and were successful at the same time leaving the native animals alone. There were a variety of dogs used from Labradors to Terriers. I should note theat the dogs did have handlers. Anyway a very clever solution to a very complex problem. 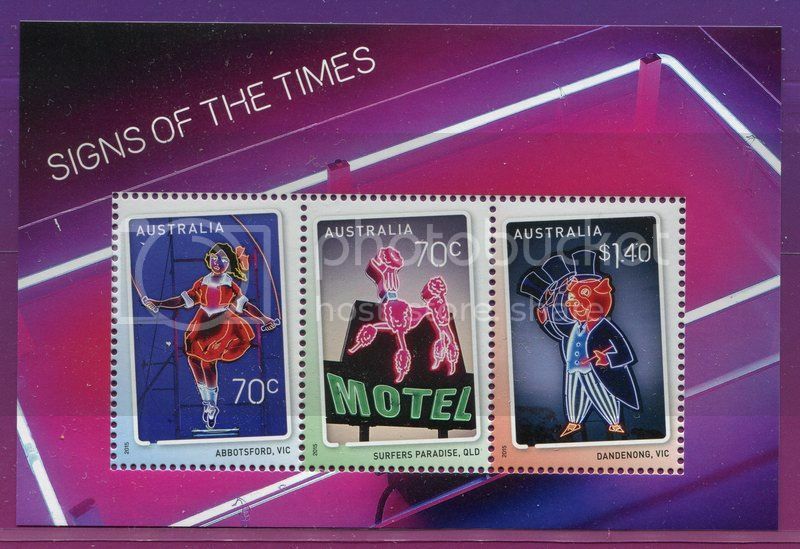 I can't recall the sheet stamps being different to the minisheet stamps in other issues, but this set is. All the sheet stamps have the white border. 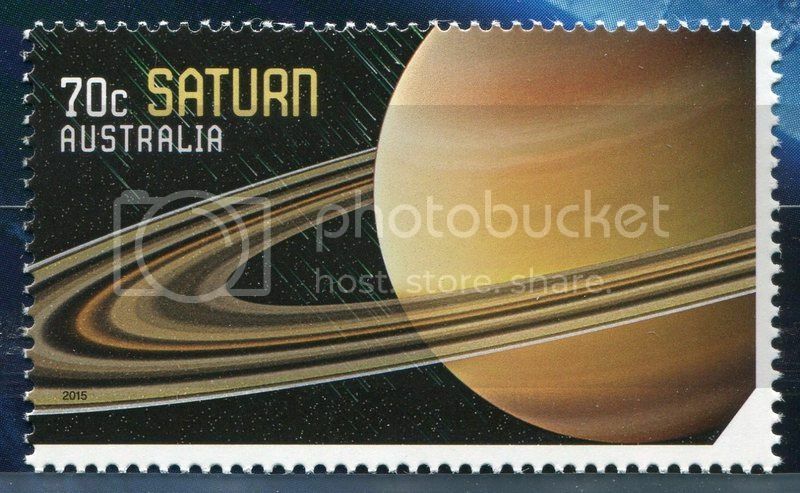 Here is the image of Saturn. If anyone wants closeups of the others just say the word.